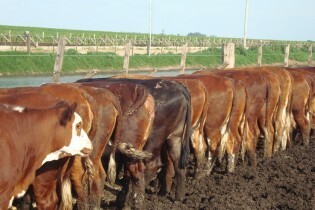 Beef is one of the symbols historically identified with Argentina. After lean years, production and exports are growing, as is the debate on the environmental impact of cattle, which is on the radar of environmentalists and actors in the agricultural value chain. Mohammad Ali's routine has not changed in over three decades. A small dairy farmer in the village of Aliabad, in the Narowal district of Pakistan’s eastern Punjab province, he wakes at sunrise and walks to the barn to milk his three cows manually, stopping only for a breakfast of unleavened bread and tea heavily laced with milk before getting back to work. Muslims around the world will soon celebrate Eidul Azha, otherwise known as the ‘feast of the sacrifice’, the second most important festival day on the Islamic calendar.